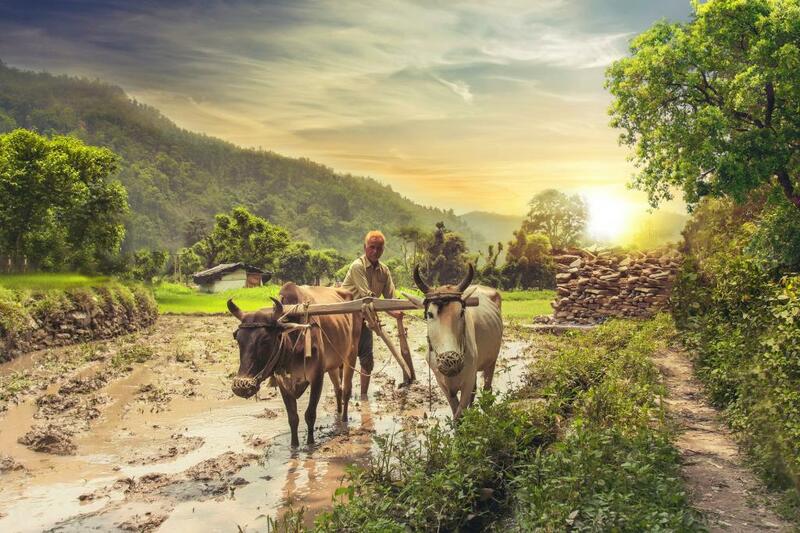 In its final and interim budget, presented on February 1, 2019, the Narendra Modi-led government assured an income support of Rs 500 per month for 12 crore small and marginal farmers, in a bid to counter the agrarian crisis which has seen countrywide farm protests. The government has announced Rs 6,000 per year to each farmer household whose land holding is less than 2 hectares (ha) in three installments under the Pradhan Mantri KIsan SAmman NIdhi (PM-KISAN). For this scheme, the government has allocated Rs 75,000 crore for 2019-20 which will be directly transferred to farmers’ bank accounts. Keeping eyes on the upcoming parliamentary election, the government has allocated Rs 20,000 for one retrospective installment between December 2018 and March 2019. This means that Modi government will give Rs 2,000 per farmer family before elections. Given that a farmer invests at least Rs 10,000 in one cropping season on at least 2 ha land, the government’s offer seems paltry. “It looks like a band-aid solution where surgery required,” says Ajay Vir Jakhad of Bharat Krishak Samaj. Farmers have been staging large-scale protests demanding better price for their produce, and such a small amount would offer no real support to the debt-stricken farmer. Like in the previous budget, the government claimed they have met the promise of providing 50 per cent income over the cost of production. In reality, government has twisted the formula to suit their argument. The commission for agricultural costs and prices (CACP) has categorised three types of cost of production — A2, A2+FL and C2. A2 represents actual cost of farming, including seeds, fertilisers and hired labours; A2+FL represents family workers in addition to A2; and C2 represents the cost of land rentals or interest on invested capital in addition to A2+FL. Hence, C2 has all the components followed by A2+FL and A2. It’s obvious that any positive gross return value margin on C2 gives better price to farmers than any other category. The Swaminathan Commission recommended C2+50 per cent, however, the government is providing A2+50 per cent. Indian agriculture has been marred with unabated farmers suicides and uncertainty of farm income. Data from the National Crime Records Bureau (NCRB) shows that one farmer committed suicide every hour in 2015—3 per cent more than the previous year. More than half of the agricultural households in India are in debt, with average debt of Rs 47,000. National Sample Survey Office (NSSO) says that in 2014, average farmer income was around Rs 3,081 per month. Even the Economic survey of 2016 states that farmers earn around Rs 1,700 per month. Similar schemes but with better cash amount were implemented in Telangana and Odisha last year. Under the Rythu Bandhu scheme, the Telangana government provides an income support of Rs 8,000 per year to its 5.83 million farmers. The state government had decided to pay Rs 4,000 each for Kharif and Rabi cropping seasons. The Odisha government has started a similar scheme with a twist — it has decided to provide an income support of Rs 10,000 per family for both tenant farmers as well as landholders for five cropping seasons between 2018-19 and 2021-22. The West Bengal government plans to give Rs 5,000 per acre before the two sowing seasons in a year to its farmers.